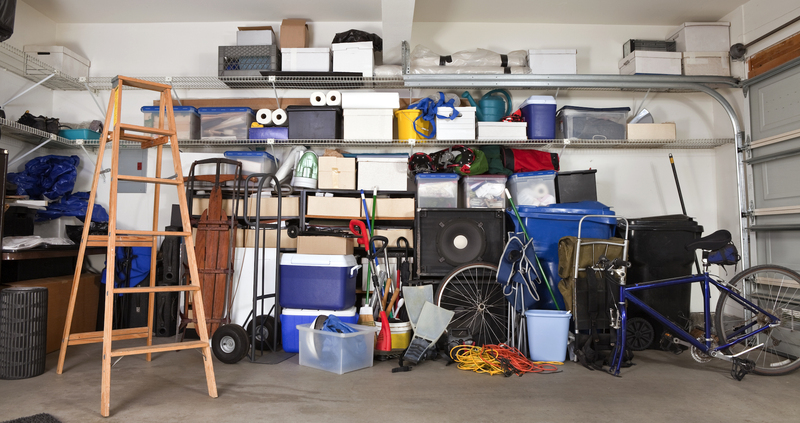 Is clearing out the garage the secret to marital bliss? What is the secret to marital bliss? It’s a question as old as – well, marriage. We all hear plenty of advice from well-intentioned family and friends on the lead up to the wedding – ‘Don’t go to sleep angry’ or ‘Make a list for household chores’. One of the common themes to marital advice is about giving each other space. Just because you’re in a relationship, you don’t have to be together 24×7. If you happen to have a home with his and her bathrooms, separate wardrobes and a personal office each, you likely have all the space you need. If not, you might want to make your own. It’s a concept as old as time. As the family grows and children take over the spare bedroom, the husband retreats to his garage or the garden shed. The idea of turning the garage into your man-cave or building a home office in the garden is not a new one, but it’s certainly growing in popularity – there’s even a Shed of the Year competition. If you or your partner are hoping to turn the garage or shed into a bolt hole – there’s just one dilemma. What will you do with all of the clutter that’s already in there? Just think about the average garden store – you can imagine the piles of paint pots and brushes, rollers and painting trays waiting for their next use. There’ll be an assortment of tools – hammers, screwdrivers, saws, pots of screws and spare planking, for that ‘I’ll sort the shelves out one day’ job, and the car jack, spanner set and spare tires – just in case. Piled on top of the ‘I’ll try and grow my own this year’ flower pots and seedling trays, blocking access to the garden essentials – wheelbarrows, rakes, hedge trimmers and fork – will be all of the clutter that’s found its way from the house. Picture frames, dining chairs, grandmother’s china, carefully protected in plastic boxes, and a spare bedframe – things that are too good to get rid of, or that we might need one day, or the children will want when they have a home of their own – but that we don’t need right this minute. As many long suffering husbands will know, you can clear a space in amongst the family detritus. But by the time you have planned where you’ll position the accompaniments to your new bolt-hole, someone else will have discovered that the garage magically made some room – and filled it with another pile off-loaded from the house. So, you need a new shed, or a second garage perhaps. Somewhere to store the spare furniture, the seasonal gear and the specialist equipment needed for occasional use. But who has a garden large enough to cram in more buildings – and what’s to stop the overflow spreading into that new space? The solution, of course, is self-storage. You can rent a space that fits to the size you need – no paying for unneeded floor – and expand as your family does, over time. Grandmother’s china will be secure in a dry, locked storage space, out of your way until it’s needed and you are left with an empty garage and plenty of room to design your man-cave. Are you a hobbyist, or looking for your own workshop? Perhaps you want to turn your shed into an art studio, or actually use it as a traditional potting shed. Whether it’s a home office, a games room or your very own garden pub, there’s just one more dilemma – how will you keep the kids out?